Better Banquets Through Planning. Part 1: Why? * Progress toward self-set goals (i.e. individual recognition of a young person’s growth toward meeting a goal). 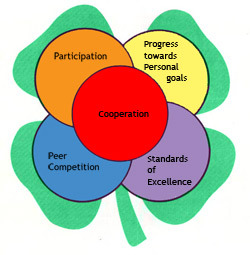 * Cooperation (i.e. acknowledgement of the cooperation of an officer team). * Peer Competition (i.e. first place ribbon for the biggest cabbage in the cabbage growing contest). While banquets are only one piece of the awards and recognition framework for the county 4-H program, they are a highly visible piece. As such, a balanced approach must be taken to create incentives for continued development and growth among 4-H members, such that all young people can reach some type of “success” (not just the one that grows the biggest cabbage).